Mutch : Fag or Fab? I love carrying around my Jimmy choo, miu miu & vintage clutches to parties, drinks or even to brunch, basically everywhere. Life is easier! (especially when I am terribly busy these days!) I grab things I need (not many: iphone, keys, my Valextra purse, concealer, lipgloss, eyeliner, portable Chanel mademoiselle fragrance… that’s about it I think), throw all into the clutch on my way out the door. That’s for the ladies, how about men? Man bag? Man clutch? those may think is kina a fag would just dump their phones, wallet, keys, napkins..(what else?) into their pants’ pocket. A nice pair of nicely tailored pants would then be trashed. otherwise a bagpack! How not stylish! fag or fab? I say FAB!! Some call a man bag in general as Murse : MEN + PURSE = MURSE. 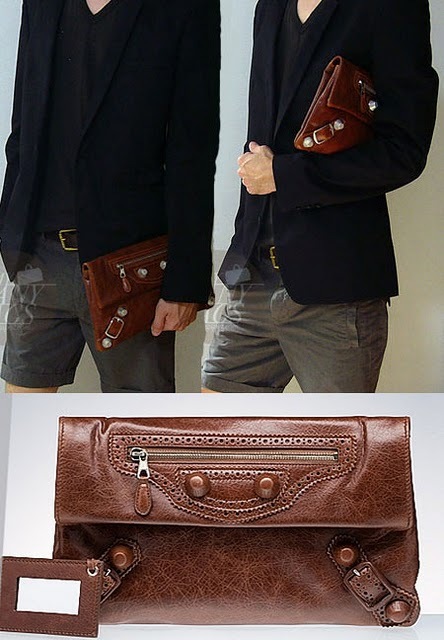 I’d think maybe Men+clutch = MUTCH is more appropriate exclusively for clutches. Like “meggings”, these terms crack me up. We’ve all heard of the man bag on magazine etc. Now let’s be more forward and meet the men’s clutch. Size of murse should definitely bigger than a typical girl’s clutch hey but what’s typical these days? (I can show you my larger than life vintage clutch in my wardrobe!) and I’d hope Bottega Veneta’s oversized men purses will be the next big thing. The color palette is distinctly masculine – brown, beige, and truffle earth tones. They coordinate perfectly with Bottega Veneta’s suede shoes and classic jackets. How about Balenciaga covered giant envelope clutch and the YSL large leather clutch? Definitely stylish, chic and less clumsy than a man bag, not to mention a backpack (well only if you got too much to carry). Will the new style of all these couture fashion houses convince the average Joe that he needs a clutch while the practical man bag was already slow to catch on? or is a trend better left on the catwalk? Who knows? these oversized accessories probably not for the homophobics but for those MAN ENOUGH men whom dress themselves well, confidently doubtless in their own sexuality and never afraid to be judged otherwise. So are you in doubt boys? “Design follows Function” is rather the way men think than “Function follows Design”. You’re right, it took us a while to enjoy the advantages of bags. The murses and clutches are certainly stylish but they neglect the men’s demand for practical things, simply because they keep one hand busy. 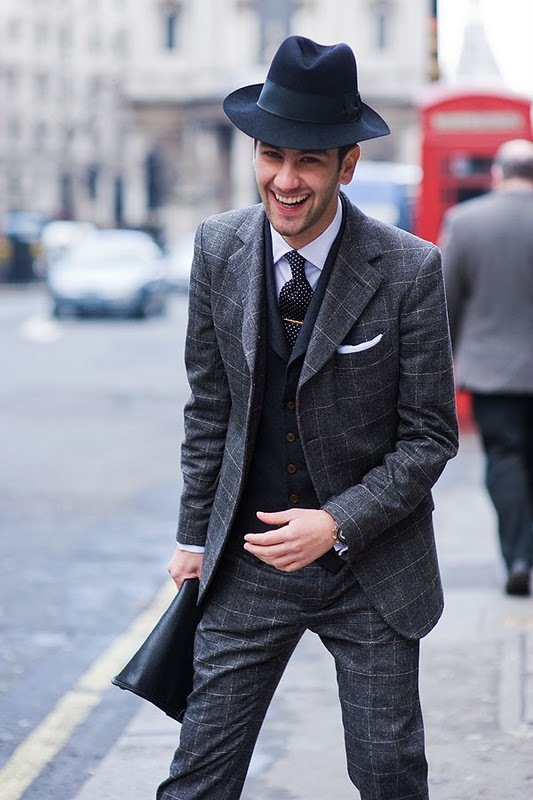 Are men going to accept that for the sake of being stylish? Is a shoulder strap ruining the fashion statement by turning the men’s clutch into an ordinary girls bag?